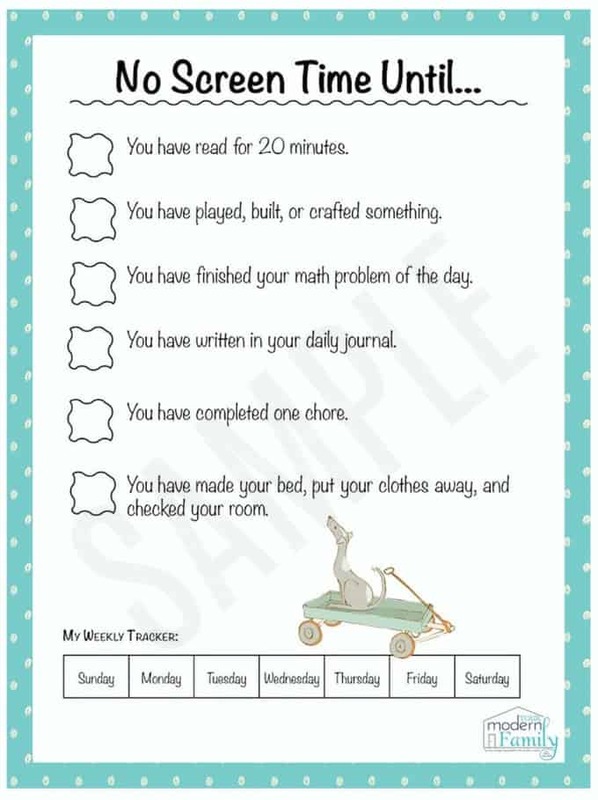 This No-Screentime Until Printable Sheet has been wonderful. 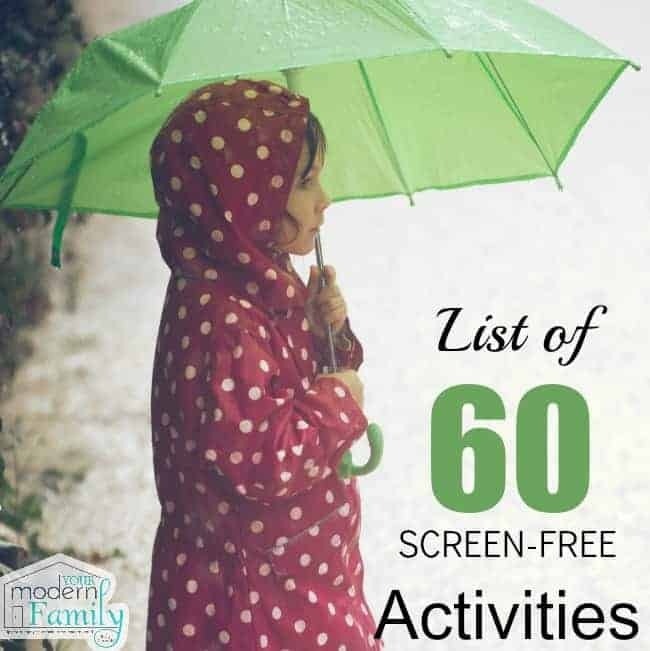 The main idea behind this is to give our kids something “else” to get “lost in”… Sometimes kids just need a little motivation to get started (once our kids head outside to play, they forget about watching a movie or playing on the tablet). If I let them just sit & default to screen-time, it will consume as much time as I allow. Why not just encourage them to get out or do something ELSE first and see where THAT takes them? You have written your paragraph of the day and have finished your math problem of the day. Every summer, each child gets a new writing journal and they write a paragraph each day. (Our younger children will just write a few sentences and our toddler will just draw a picture). I check it and date it. At the end of the summer, we look back on their progress together and we all love to see how far they have come! They also get a math problem of the day (I usually just print one from the internet, or we use some of my old math workbooks from when I taught elementary school).The reason? Children lose an average of 3 months of learning during the summer (I learned this in college – I was a teacher) and I don’t want our children to “lose” time… I want them to “gain” it, so we do a little work in the summer, too. It makes going back to school so much easier, too! You have checked your room to be sure it is clean (bed is made, lights are off, the fan is off, clothes are cleaned up, papers are off the floor)- this is simply because we are all part of the family and we all do our part to help out around the house. 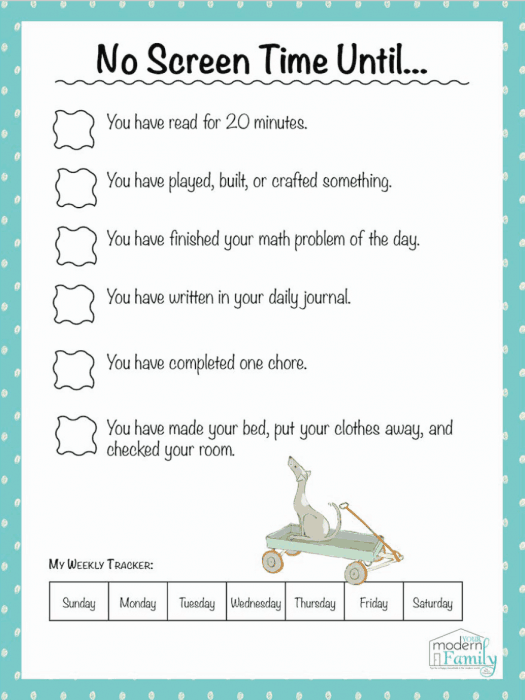 You have done one of the following: played with toys, played with your brothers, practiced your instrument, built something or made something with our DIY creativity kit or whatever else you’ve found, that you can do that is creative for 30 minutes or more. BECAUSE WHY NOT!? Have fun! 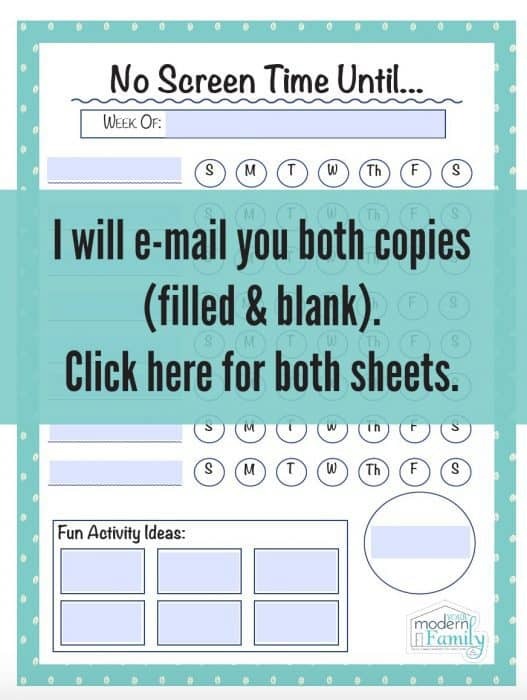 If you want both screentime printables, click here. I will email them to you. 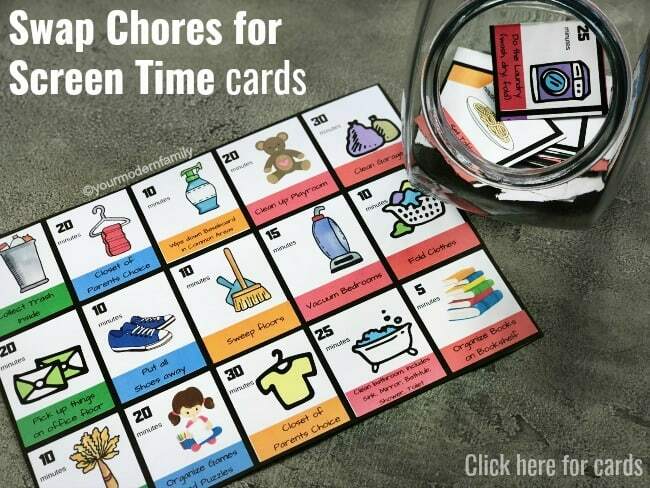 When these things are done, they can have some screen time until we tell them that it has been enough (usually about 1-2 hours a day is plenty, unless we have movie night… then its a little more). I love the “No Screen Time Until…” poster. Thanks for sharing it! Any way it can be put into an editable format? I just made it on a website called PicMonkey (so even I can’t edit it, unless I start over). Sorry! We have 3 kids ages 11 and two that are age fourteen. Screen time has become a HUGE problem! These are great! Something to keep in mind when baby grows up and starts using a device with a screen. One that mom used when we were kids(long before internet and cell phones) was no going outside unti you do your piano practice. I was just wondering today what limits I want to do on the technology stuff. During the school yr, the rule was none, only on the weekends. Thanks for this, I need limits and this is a good idea. Amazing plan for the summer, my toddler is only 2 and I have noticed that if he watches too much time youtube videos he gets nervous and do not want to do anything. So, if I want him to stay attentive I have to begin the day with activities away from screen. Love your post, for sure will keep it for later. We had something called “Amish Summer days” No TV or screen time until the sun went down, we had a list of things that needed to be done, create or bake… it was fun but they did complain and that caused an hour late of screen time and then it was bed time! I really needed this.. Very useful thing! Thank you. I’m glad its helpful! 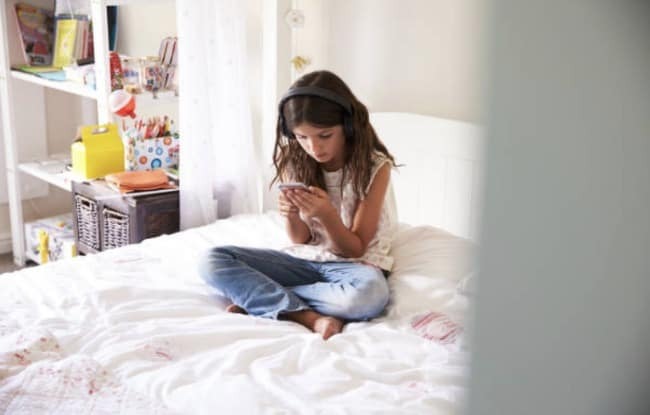 Screen time is not lazy time… there are many things that kids learn on screen, Rosetta Stone, building digial worlds, graphic art, RPG creating, coding, animating… so I totally agree, taking away screen time doesn’t make a child productive… i know plenty of adults who need less screen time. I get so sick of hearing people say, your kids should have less tech… lol, well unless you plan on living in the stone age, tech is here to stay… also if you want your children to become more diverse, then do it with them, but hey, I parent from the perspective, that each child is individual human with their own strengths and I tend to do whatever I can to encourage it. Art, computers, cinematography, science, anime, reading… the goal is to engage them not deter them. So , NO screen time doesn’t = lazy. Completely agree – our kids could get caught up in screen time for hours at a time if I let them. I don’t think that it is lazy, I just want to be sure that they are doing OTHER things, as well. 🙂 Keep them well-rounded. They can’t TRULY learn to paint without holding a paintbrush and they can’t learn to really throw a ball without doing it… just keeping them ‘in the real world’. Becky, I completely agree with you. There are so many interactive and education things to do on the iPad. There are even games that has the child do physical activities,sing along songs, putting jigsaw puzzles together…etc. If you want to home school your child, a computer will be a must. It’s important to have a balance, but “screen time” is very important too. I agree 100%….my autistic daughter learns so much from her tablet…screen time does not equal lazy!! 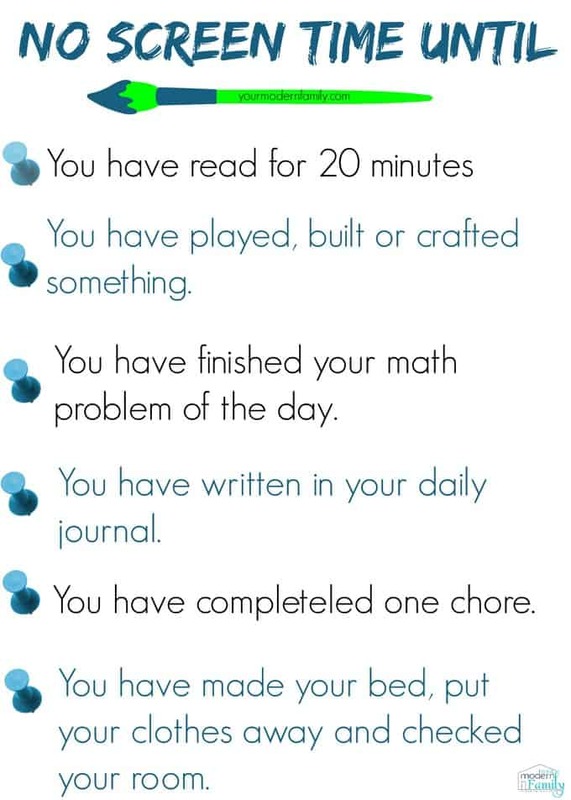 Also….I’m not surprised your kids complain…I understand chores here and there and cleaning up rooms and toys, but why even have summer, if your not going to give your kids the time to unwind and enjoy summer?? Awesome ideas. My daughter (7y/o) goes to all year round school. I had her trained to do some school work during school time and school break since she was 4. Chores is under process. But the rest of this information is great. You and I are on the same page! 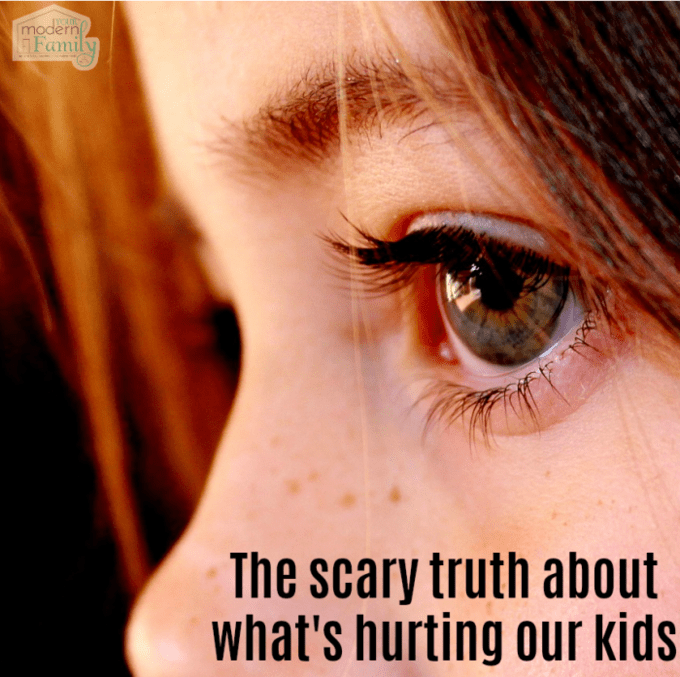 Parenting takes thought, time, and monitoring with love. That’s what makes a happy family. Whatever works for your family, “Parenting” is the answer. We have a “no screen time without explicit permission” which works well for us. We don’t spend much time with screens ourselves (my wife and I) so we don’t have a culture of screen time in the house.which makes it a lot easier I suppose. Hello My name is Tea and I am doing a project about screen time and I want your opinion on screentime. Can you tell me more about your paragraph a day? Do you have a list of prompts, or is it more of a journal of what they have been up to? This is for the summertime right? What rules do u have for during the school year. Oh my gosh, have you seen Kudoso yet? You’d think we read your blog and then built the perfect app to implement it 😂 Seriously though, Kudoso would be perfect for you Becky, we’d love to give it to you because there is obviously no better match than you and your household. Seriously… you have to check it out. Not only perfect for phones and tablets but for televisions and game consoles too! It a brilliant idea. Thank you for sharing. My mother also created a rule for me once I was so little. That rule was “I can drink one glass of soda AFTER I drink a glass of milk”. Well, I’m not that tall, but right now I’m very healthy.